I too thought The last Runaway was excellent. I knew very little about the Underground Railroad and this filled in a few gaps. 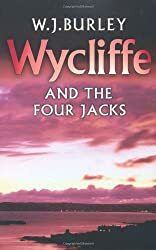 I’ve never read any Wycliffe. Watched every episode on TV and spent many a happy hour location spotting but have never read the books. Cath, I missed the TV Wycliffe – I’d have liked the location spotting and it’s one of the aspects of Burley’s books that is so attractive too. 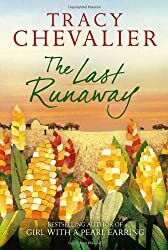 Tracy Chevalier is an author I have avoided recently because I don’t think her more recent novels have lived up to the promise of her earlier work. However, ‘The Last Runaway’ is on the Summer School list this year so I have no get out. Your positive review at least gives me hope that she is back on form again. Alex, I’ve only read two of her books before – Girl with the Pearl Earring years ago before I began blogging and Falling Angels, which I read and enjoyed last year.I think The Last Runaway is in much the same category as those two – hope you enjoy it. both book, while very different from each other, sound very good. Thank you for your thoughts. Margaret – These certainly are two very different books. Still, they both sound interesting. I do like the Wycliffe novels, and I like historical fiction too. The Chevalier sounds right up my street, and I’ve never read her work before so I may mark this as a possible starting point. Glad you enjoyed them both. I really enjoyed The Last Runaway too–though you’re right, Jack is not all that well developed as a character. I loved the quilting parts and how that connected people from vastly different backgrounds and perspectives. I loved The Last Runaway a well. The details of Honor’s qualms with slavery and how to live her life with these qualms was the best part of the book for me. I enjoyed the quilting aspects as well although I am also not a quilter!